I have finished grading all the work for the course and submitted course grades in HokieSpa. As a reminder, I use Virginia Tech’s default grade scale (no rounding). Thank you so much for your work this term. Have a great winter break. This is the post for the week of December 8, the last week of classes! If you have not already done so, please fill out the Student Perceptions of Teaching (SPOT) survey for this course. I do not see the feedback until late December (after grades are submitted), and your comments are anonymous. The feedback helps the department make important decisions about teaching methods, course content, and faculty promotion. Written comments help me decide what to keep or change the next time I teach the course. Write and submit your final exam, Project 5: Course Completion Report, by 11:59 PM on Monday, December 14, following the instructions below. There is no grace period on the exam, since course grades must be calculated and turned in. Choose the "Project 5: Course Completion Report (Final Exam)" assignment. Tell me what grade you aimed for (e.g., I aimed for a B+ by including headings and icons). Tell me how well you met your goals. Tell me anything else you want me to know before I grade your project. Watch for a blog post later in the week of December 15 that will let you know that the course grades have been submitted. You can check your Grades in Canvas to see what you earned. This is the post for the week of December 1. This week, you will read through the assignment for the final exam and discuss some example documents and advice. Read the Project 5: Course Completion Report assignment (the final exam), and begin gathering data on your work in the course by rereading your posts in the Discussions and your projects to identify your best work. Analyze the self-assessment documents you have read for today for Powerful Word Choice. Go to Discussions in Canvas and post two replies to the "Comparing Self-Assessment Examples" Discussion, following the instructions in Canvas by 11:59 PM on Monday, 12/7 (two-day grace period ends at 11:59PM on 12/9). Please fill out the Student Perceptions of Teaching (SPOT) survey for this course. I do not see the feedback until late December (after grades are submitted), and your comments are anonymous. The feedback helps the department make important decisions about teaching methods, course content, and faculty promotion. Written comments help me decide what to keep or change the next time I teach the course. This is the post for the week of November 17, 2015. This week you will complete peer review for the fourth project and then after Thanksgiving break, you will submit your work by 11:59 PM on Monday, 10/30. If you need more time, use the grace period and turn in your work by 11:59 PM on Monday, 12/7. I have oral surgery scheduled next Wednesday, 11/18. Because of the preparation for the procedure and the recuperation time, I may not be able to respond to any email from Tuesday afternoon (11/17) through Thursday morning (11/19). No office hours on Wednesday (11/18) or Friday (11/20). Go to Discussions in Canvas. Choose the "Peer Review for Project 4" discussion. Tell your readers what you are analyzing and why you chose it in one sentence. Ask your readers to look at anything you are trying to improve. Let them know the kind of advice you need. If relevant, explain anything else you want your readers to know. Attach any documents to the Discussion message. Be sure your file is a *.doc, *.docx, or *.pdf file. Provide a link to your draft in the Discussion message (e.g., for a Google Doc). Follow the Canvas Documentation to find the drafts you have been assigned. Note that you must have turned in your draft on time to be assigned peer review partners. Consider your immediate impression of the document(s), and add a comment to tell your partner your first thoughts. If you notice any spelling errors, punctuation errors, or typos, you can mention them in your comments, but focus more on the content than editing and proofreading. Comment on at least three things your classmate does well. Comment on at least three things that your classmate could improve. 3. Revise your draft based on the peer feedback you received, using the Canvas Documentation to find your peers’ feedback. 4. Submit your revised draft by 11:59 PM on Monday, November 30, following the instructions below. If you need an extension, take advantage of the Grace Period and submit your revised draft by 11:59 PM on Monday, December 7. Remember that there are no revisions or rewrites after your work is graded. Choose the "Genre Analysis Report" assignment. Tell me what documents you have attached. This is the post for the week of November 10, 2015. If you have not done so, submit your Genre Analysis Progress Report Assignment by 11:59 PM on 11/11 (the end of the 2-day grace period). To prepare for writing your report, compare the Tables of Contents for the Genre Analysis Examples, and complete the Project 4 Organization Quiz in Canvas by 11:59 PM on Monday, 11/16. If you need more time, you have a 2-day grace period, which ends at 11:59 PM on Wednesday, 11/18. Tue, 11/17: Submit your draft for peer review by 11:59 PM. If you have not submitted your draft by the deadline, you will not receive credit for peer review and you will not receive feedback on your draft. Wed, 11/18: Peer review partners will be automatically assigned at 12:01 AM. Thu, 11/19: Provide feedback to the two classmates you have been assigned as you peer review partners by 11:59 PM. Mon, 11/30: Project 4 due by 11:59 PM. (I expect most of you to use the grace period). Mon, 12/7: Project 4 grace period ends at 11:59 PM. If you need to ask any questions about the project, send me an email message. A Personal Note: I have oral surgery scheduled next Wednesday, 11/18. Because of the preparation for the procedure and the recuperation time, I may not be able to respond to any email from Tuesday afternoon (11/17) through Thursday morning (11/19). No office hours on Wednesday (11/18) or Friday (11/20). This is the post for the week of November 3, 2015. Use the Genre Analysis Examples to guide you as you gather information and draft your own report. You will work on different topics, but the arrangement and kind of information that they include is similar to what you need to work on. After reading the examples, go to the Discussing Example Reports post in Canvas and make two replies, following the instructions that you find in the post. Continue working on your project. You should be in good shape if you complete most of your research by November 9. That will give you a full week to work through your findings and write your report before the peer review draft is due (on 11/17 by 11:59 PM, no grace period). Submit a Progress Report, explaining what you have done so far and outlining what you still need to do by 11:59 on November 9 (2-day grace period ends on November 11). Because your progress report should reflect all the work you have done through the end of this week, the assignment will not open in Canvas until Saturday, November 7. If you need to ask any questions before you write your progress report or have any other questions about the project, send me an email message. This is the post for the week of October 27, 2015. Write your proposal, following the instructions on the Genre Analysis Proposal page. If you need an extension, take advantage of the 2-day grace period for daily work. The proposal is an important part of the process, since it makes sure that you’re on the right track before you dive into writing the actual report, which is worth 30% of your course grade. Begin your research for the project, and be sure to keep track of your sources for your bibliography. This is a large project, so I encourage you to work steadily over the next month, rather than waiting until the last minute. If you need to ask any questions before you write your proposal or have any other questions about the assignments, send me an email message. This is the post for the week of October 20, 2015. This week you will complete peer review for the third project and then submit your work by 11:59 PM on Monday, 10/26. If you need more time, use the grace period and turn in your work by 11:59 PM on Monday, 11/2. If you are sharing a LinkedIn profile, make sure your privacy setting will let the public see your profile. Consult the Lynda.com video on Managing your public profile for help. Choose the "Project 3 Peer Review" discussion. Tell your readers what you are making for Project 3 (e.g., a LinkedIn profile and resume). Provide a link to your draft in the Discussion message (e.g., for a LinkedIn profile). 4. Submit your revised draft by 11:59 PM on Monday, October 26, following the instructions below. If you need an extension, take advantage of the Grace Period and submit your revised draft by 11:59 PM on Monday, November 2. Remember that there are no revisions or rewrites after your work is graded. Choose the "Project 3: Job Application Materials" assignment. 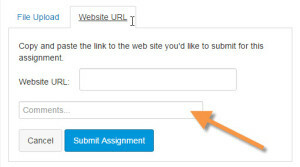 Paste the link to your site in the Website URL field. Tell me what you are linking to. Write a short memo in your word processor that gives me the URL. It can be very short and direct. Just give me the link and tell me what it goes to. Click the Choose File button, and navigate to your files. They must be *.doc, *.docx, or *.pdf files. You can upload as many as you need. Be sure to upload the memo with the link to your website or LinkedIn profile. This is the post for the week of October 13, 2015. I’ve gathered some resources that will help you with whatever you proposed. Read the information that pertains to what you have proposed. Since it’s break this weekend, I’m keeping the work light. Enjoy your long weekend! Continue working on Project 3. Assume your proposal will be accepted. Watch for a reply to your proposal by the end of the week. Be sure to check the comments. If you need to make any adjustments to your plans, I will tell you about it there. Be ready to post a draft version of Project 3 for peer review by 11:59 PM on Tuesday, 10/20. If you do not submit your draft on time, you will not receive feedback. Peer review feedback is due by 11:59 PM on Thursday, 10/22. The final version of your project is due by 11:59 PM on Monday, 11/26. 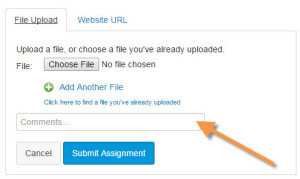 If you have any questions about the assignments, post them in the Questions about Projects 3 Discussion in Canvas. This is the post for the week of October 6, 2015. Go to the What Would You Propose? Discussion in Canvas, and post two replies: your original reply to one scenario in the bulleted list, and your reply to one classmate in your group. Be sure that you include all the required sections, as explained in the proposal instructions. Submit your proposal by 11:59 PM on Monday, October 12. Early submission is recommended if you are thinking of a job application project that might be unusual. Follow the submission instructions to turn in your work. Watch for feedback on your proposal late next week. I have never had to turn a proposal down, but I do ask for changes occasionally. You are responsible for the suggestions included in the feedback. This is the course website for English 3764, CRNs #83186 and #86919, taught by Traci Gardner at Virginia Tech during Fall 2015. This site uses the Inkblot theme. Featured images used in posts and on pages are copyright/licensed as indicated. Unless noted otherwise, icons are copyright © 2015 Hand-Drawn Goods. The background image is copyright © 2015 Creative Stall, available on Creative Market.